This 900mm side chimney hood has a sleek, curved design that slopes over the back of the range while providing a canopy above it. 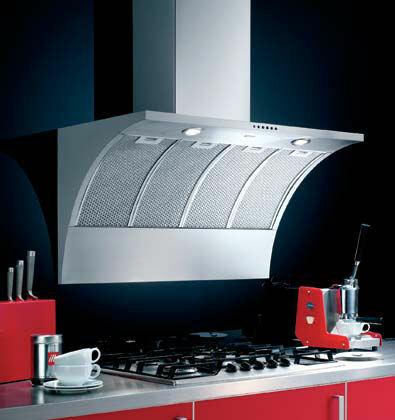 The cooker hood unique shape and powerful 180W motor allow for effective venting of odors and smoke. It features a 3-speed selection, height adjustable chimney, and 2 halogen down lights for convenience and ease of use. The chocolaty counter curves around you, broken only by bright circular steel sinks. Along the wall, the tall pale cabinets of the Lotus & Giro round kitchen frame the built in hob. From one central ‘cockpit’ the entire kitchen is within reach. 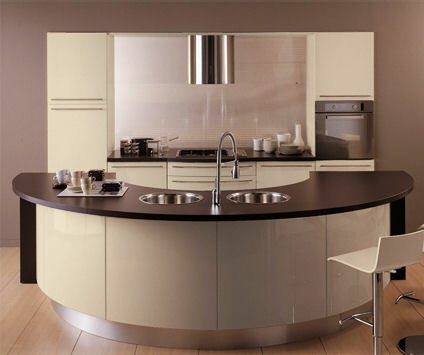 The curving counters, circular sink, and tube like extractor fan reinforce the round kitchen theme. Femme Fatale, Working like a prayer and giving a bathroom a little Ray of Light, the Madonna‘s spiralling coils of stainless steel form a unque sculptural effect in this stunning design. The Padmachine from StudioMom is an innovative contemporary coffee maker for a high end kitchen. 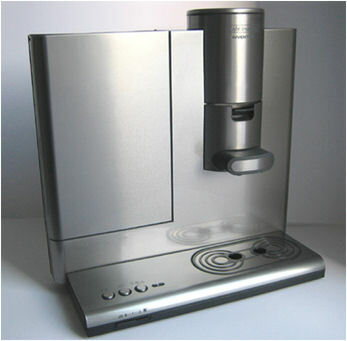 This coffee maker has been engineered so that any type of pad can be used and so that the coffee strength can easily be adjusted according to the user’s preference. 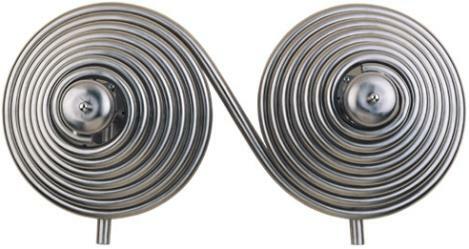 This steel radiator is composed of flat pipes that form a continuous heated panel. In addition to being energy-saving and producing large amounts of radiant heat, this flat panel radiator takes up less space in the room than a traditional wall-mounted unit. 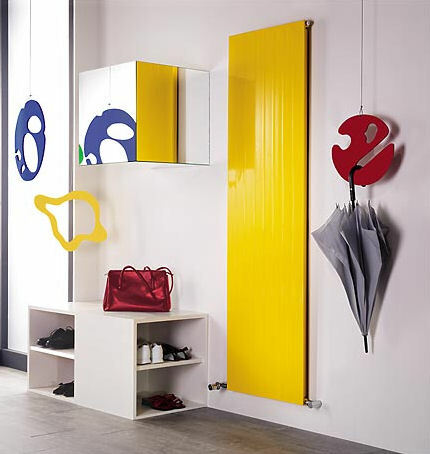 Further, the aesthetic of this radiator is unobtrusive as it appears more like an artistic element when mounted to the wall. It can even be specified in a vast number of colors and textures to create a customized look that coordinates with your decor. 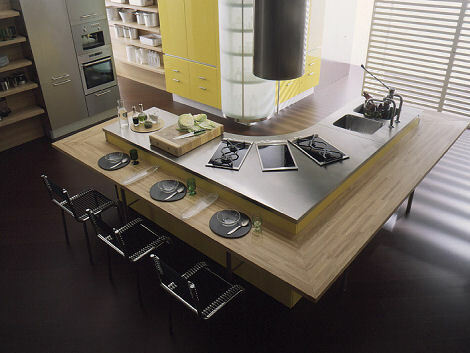 This very modern Kitchen Island by Effeti has a the free standing unit presented in chestnut colour glossy varnish with the worktop made of stainless steel. Behind is elegant beech wood panelling with backboard also made of beechthay will lighten up any kitchen. 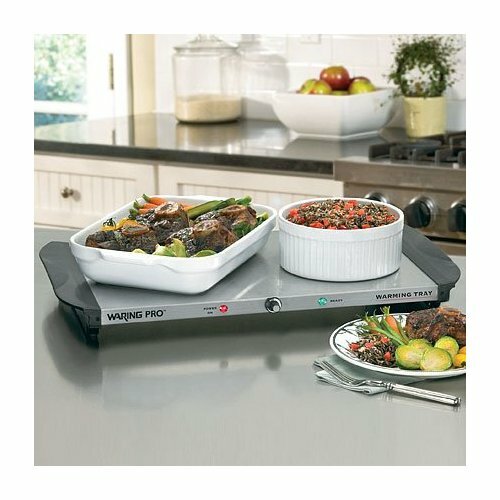 For a quick dinner the Waring Pro Warming Tray withbrushed stainless steel with thermo-insulated handles and adjustable thermostat with indicator lights is a gret and modern solution. This unusual coffee maker has an elegant and classic name, in contrast with its futuristic and absolutely unconventional design. 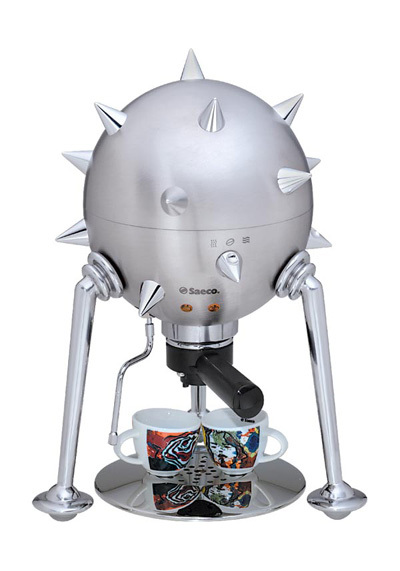 It looks like Sputnik, but it’s an espresso maker.The upper half of the sphere is removable and inside, the water tank can also be removed. Quick healthy meals for you in a matter of minutes. 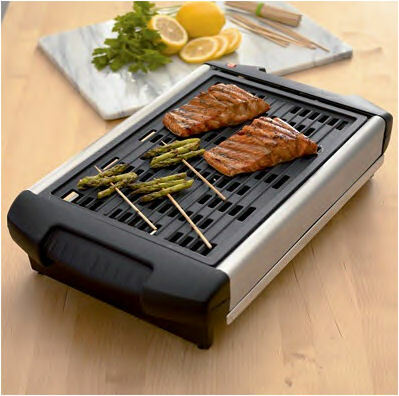 Made in Italy, this indoor grill combines contact and radiant heat to deliver delicious low-fat healthy food without smoke and hassle. The cooking surface is large enough to feed an entire family with nutritious healthy meals in just few minutes. A fresh fruit juice every morning as you like making it: either by using the ergonomic handle and the fruit clip or by simply pressing the fruit onto the cone. 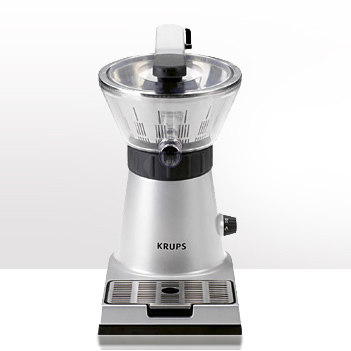 High-end finishing of this Krups juicer for the pleasure of leaving it on the countertop.